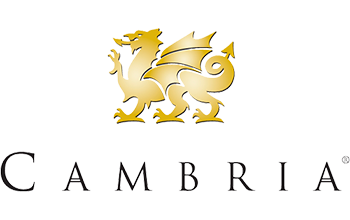 Cambria is a natural, quartz surfacing product that has a variety of uses in your home or business such as countertops, floor tile, vanities, fireplace surrounds, wet bars, showers, etc. Cambria is pure, natural quartz, one of the hardest and most common minerals on Earth. Some of Cambria’s designs have the natural look and feel of granite, marble and other quarried stones, but features superior performance because of its strength and durability. It is nonporous and will not absorb food and liquids like granite does. And best of all, it is maintenance-free. It's 93% quartz, a natural stone. 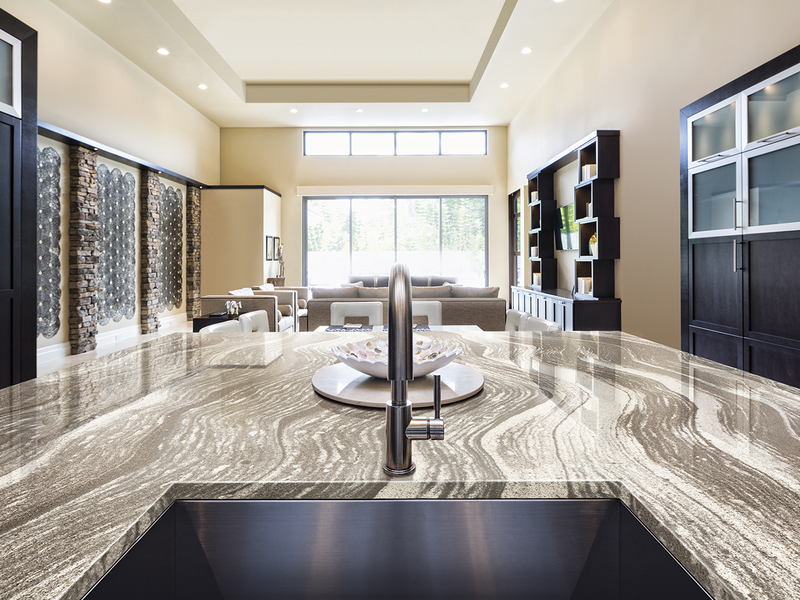 Quartz is the extremely hard mineral that gives Cambria its strength. Granite is only about 40% to 60% quartz, along with other softer minerals and impurities. You get the look and feel of granite, but receive greater strength and the benefit of it being nonporous and maintenance free. Just wash it with warm water, and use a mild soap if desired. 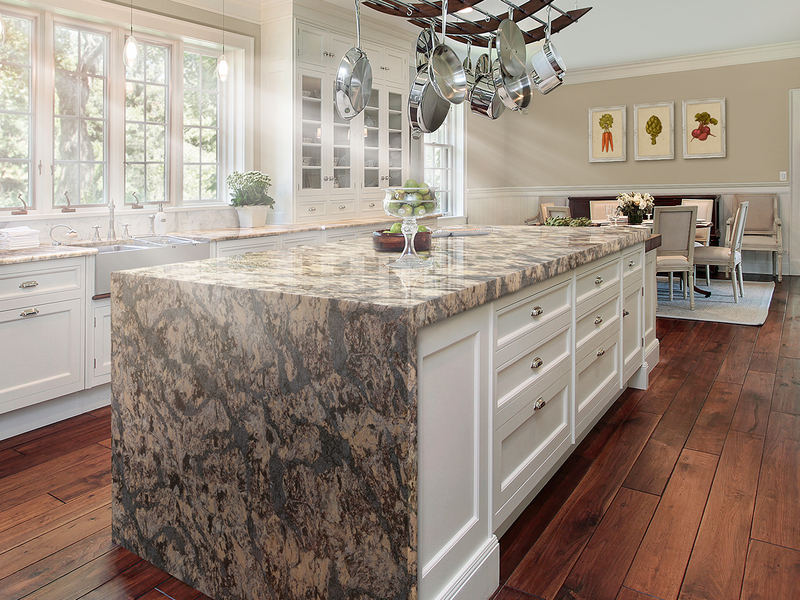 Cambria is stain resistant and never needs sealing or reconditioning. Granite is a porous stone and needs to be sealed regularly with a chemical treatment. It can absorb liquids and food, risking potential staining and bacterial growth within the countertop and also offers a LIFETIME LIMITED WARRANTY for product defects for as long as the original owner owns the product. Contact us today to receive your free quote. 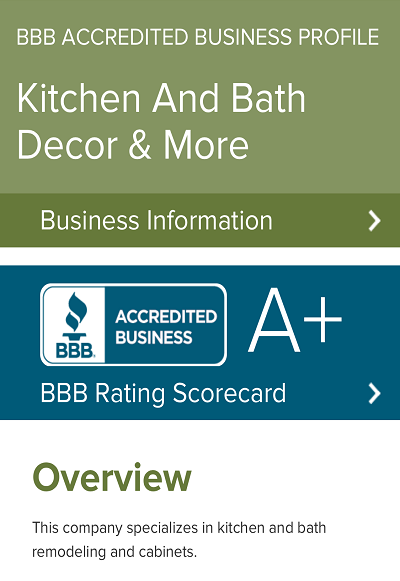 We are Cambria’s #1 Certified Dealer in the Nation. 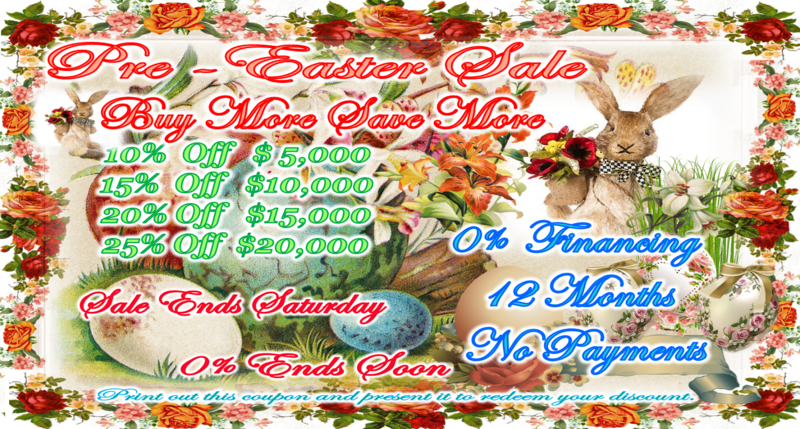 Pricing Starting at as low as $27.95 per square foot. We Offer Lifetime Warranties on Labor and Materials. We beat all competitors pricing. Cambria Quartz Countertops Houston Premier Dealer carries the biggest selection of Cambria Quartz countertops for kitchen and bath surfaces in Houston, TX. Choose your stone color today and contact us for an estimate! Here at Cambria Quartz Countertops Houston, we specialize in commercial & residential remodels for kitchens and bathrooms in Houston & all surrounding areas. We are truly a one stop shop! You can find everything you need for your projects. We carry everything from quartz, granite, marble & every major distributor of solid surface countertops, kitchen and bathroom cabinets, decorative stone, backsplash, tile, flooring, laminate, and hardwood. We also provide customers with sinks, kitchen hardware, and special items needed to add the perfect finishing touches to your important remodeling project. 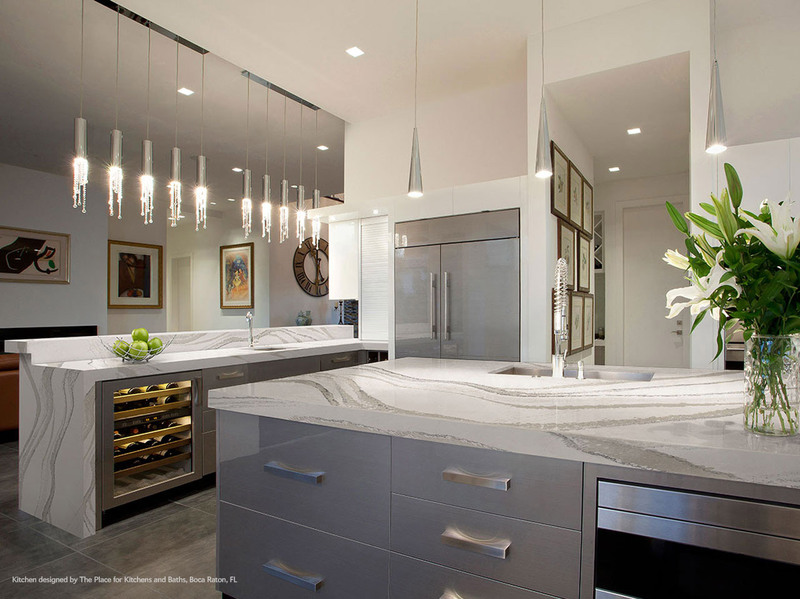 Cambria takes great pride on being the only family-owned, American-made producer of natural quartz surfaces. It’s such a rare combination in today’s increasingly globalized marketplace. It results in quality that can be felt from start to finish, in products and in the customer’s experience.